March 2014 and I have now just received my second Note in Lieu (NIL) instead of a Statement. This gives more details of the Support Josie needs but doesn’t have any funding attached to it, so almost impossible for school to provide. All the reports clearly state how far behind Josie is, and how much support she needs. My only way forward was to apply for a Tribunal Hearing. I spoke to Parent Partnership who said I would now need help from www.ipsea.org.uk as they are funded by the Local Authority (LA). I tried ringing IPSEA unsuccessfully for a couple of weeks, and I went onto their website and it was straight forward to download a form asking to Appeal the decision made by the LA. I filled out my name, ticked a few boxes and then attached all the relevant paperwork that showed Josie’s needs and the information from the LA. I heard back from them with an Appeal Hearing date in December 2014. I was shocked at how long this was, but then I read all the paperwork and saw that this was for a good reason. It gives you time to work with the LA to try to come to an agreement. All correspondence between us and the LA now had to be emailed to the Tribunal Offices. Josie is now at the end of Year 8, and I was so worried that time is running out for her education. In Year 7 I had been told that with the right support she can catch up. Now I’m looking at a child that is becoming less interested in school as she falls behind and feels increasingly more stupid every day. Thankfully she still believed me when I said I could make things right and get the right help for her. She would get up for school every day, and she would try so hard. I had to make this right for her. I had to keep believing in myself. I couldn’t sit back and wait for answers to come to me. I wrote to Mr Gove (Head of Education – total waste of time) and my local MP (brilliant), I was constantly contacting the lovely SENCo at Josie’s school, the LA, and anyone else that I could think of. I’m really panicking now. How can the Education System be so wrong? Now we have the Full Dyslexia Assessment showing all of Josie’s strengths and weaknesses. I went home and started obsessively googling anything and everything, trying to find miracle answers. ‘Parent Partnership’ seemed to keep jumping out at me. They are funded by the Local Authority, so they are there to support and guide you, and they did an amazing job keeping me on track and focused when I just wanted to get angry at everyone. They have all the right up to date information, and know which steps you should be taking next. One lady in particular helped me, and she really was beyond amazing, she was my lifeline when things seemed impossible. 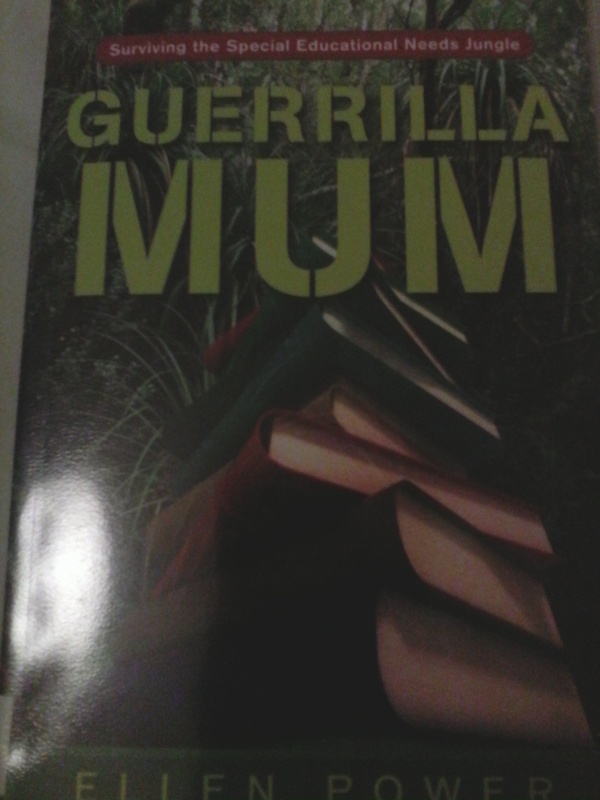 I found this amazing book; Guerrilla Mum: Surviving the Special Educational Needs Jungle by Ellen Power. I can’t thank her enough for writing this book, she gave me inspiration to become the expert, and read about the Special Educational Needs Code of Practice, and learn what rights children have in education. I had a follow up meeting with the lady that had carried out Josie’s Assessment, she explained that Josie has trouble processing the sounds in words, and that she needs specialist teaching. At this point it was around June 2013, I had enough feedback about Josie’s Dyslexia Assessment to understand that she would need a ‘Statement of Special Educational Needs’, to get the extra funding and exact teaching that she needs. I signed Josie up to attend a ‘Children Will Shine’ Dyslexia Workshop on a Saturday morning. This was run by Croydon Dyslexia Association (through the British Dyslexia Association). Josie loved this group on a Saturday morning. She learned ways to learn tricky spellings, and it boosted her confidence. She even didn’t mind the 25 mile round journey, as she wanted to learn and knew that the teachers had the time and experience to teach her. I also had a meeting with the Speech and Language Therapist, who gave me some ideas on how Josie can breakdown words, and she mentioned that she has a very good long term memory. We have to teach her how to store information in her long term memory. The next meeting was at the school, with the Special Educational Needs coordinator (SENCo), Head of Inclusion and a Specialist Dyslexia Advisor. We talked about Josie’s progress and the things school have put in place for her. We discussed things in the Dyslexia Report and then the school turned the subject to the fact that I should maybe consider looking at specialist schools that can offer her more help. They were worried that the gap between herself and her peers was widening, and she would become less interested in school. The bottom felt like it had fallen out of my world. The school had mentioned that Josie would need a ‘Statement of Special Educational Needs’ to get the help she needs, and that they would continue to build their evidence before approaching the Local Authority to carry out a ‘Statutory Assessment’. Josie would need to see an Educational Psychologist at the school, but she wouldn’t be available until the new school year.